Contact us! Just fill out this email form and click "Submit" button to send us an email with any questions, comments, suggestions, etc. We'd love to hear from you. Better yet, come to one of our socials or business meetings to become more familiar with Volkssporting and our club members. 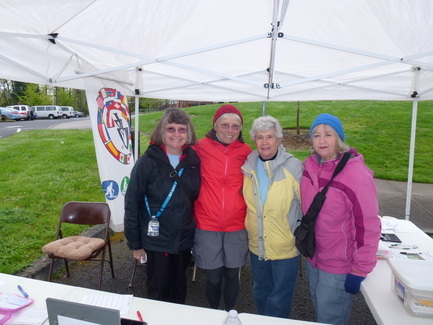 Barbara, Susan, Judy, Joan helping out at the Spring Walk in the Parks on April 4, 2015.